Performance Media Industries, Ltd. (PMI) is passionate about creating state-of-the-art screening rooms, listening rooms, and sound recording studios. Our passion stems from being in the producer's seat and loving for audiences to experience the music and film the way we heard it and intended it. PMI has won several awards for consulting and engineering in acoustics, audio systems design, video systems design and electrical systems. PMI has been in business since 1999 and works in high-end residential, recording studios, film post-production, and houses of worship. PMI provides complete design/engineering packages, calibration services and also facilitates the entire construction and implementation process of the designed room. Constantly innovating and pushing the performance level of their systems, PMI's designs are comprehensive, covering every aspect of a project that will be implemented by its A/V dealer partners, architects, interior designers and builders. 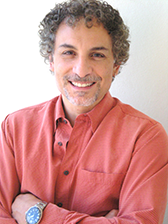 Anthony Grimani founded PMI in 1999. As a veteran of Dolby Labs and Lucasfilm THX, he played a major role in developing many of the standards for home theater. Anthony has assembled a professional team with vast experience in the fields of acoustics, physics, architecture, mechanical engineering and construction. Interested in contracting PMI engineering services? Download a questionnaire form and submit it to us by email () or fax (415-883-8147) for an initial quote. PMI conducts training workshops and seminars worldwide about Home Theater Acoustics and Calibration. Please contact PMI at 415-883-1476 for more information. 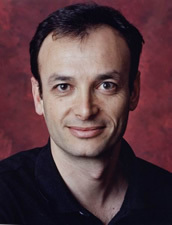 At Dolby, Anthony was intricately involved in the development of surround sound for consumer applications. During his nine-year tenure at THX, he managed the THX consumer licensing program and the technology development program, setting the direction for consumer and professional Audio/Video businesses. Anthony developed the Home THX program, the THX PM3 program, and invented the revolutionary Surround EX 6.1 channel audio format pioneered in Star Wars, the Phantom Menace. Anthony is a frequent lecturer at industry conferences such as AES (Audio Engineering Society), and CEDIA (Custom Electronics Design and Installation Association), earning the CEDIA Top Instructor award. He holds six patents in the area of audio and acoustics, and is a frequent contributor to the industry's most read and respected trade magazines. Leading PMI's engineering team, Manny is responsible for expanding and improving its methodologies and technologies for the engineering and specification of high-end residential or commercial screening rooms, recording studios, and performance venues. 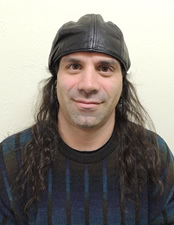 Manny has worked as a recording engineer in the music industry, and as a consulting technology engineer to the semi-conductor industry specializing in noise and vibration control. In the late 1990s, he founded Sausalito Audio to commercialize patents related to loudspeaker design, and to produce advanced audio and architectural loudspeaker systems for custom installation. For 10 years, Manny was a staff and chief engineer at famed Sausalito recording studio, The Plant. His music engineering credits include tracks and albums for Santana, Michael Bolton, Celine Dion, Kenny G, Mariah Carey, and many more. He also designed some of The Plant's seminal recording rooms. Manny earned a BS in Tonmeister Studies from State University of New York at Fredonia. He holds several patents related to loudspeaker engineering, all of which have been integrated into commercial products manufactured by Bang & Olufsen of Denmark. 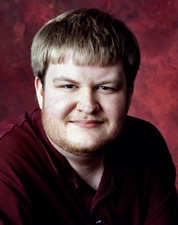 He is a member of the Audio Engineering Society (AES), and is featured in videos produced by Secrets of the Pros where he teaches studio design, acoustics, and recording and mixing techniques. After graduating from the Conservatory of Recording Arts and Sciences in Tempe, Arizona, Mario was a staff engineer at the Legendary Plant Studios in Sausalito, California where he worked with top recording artists in the music industry. At Renegade Studios, he was partner, chief engineer, and studio designer, working with clients Jefferson Starship, Eric Martin (Mr. Big), Kathi McDonald & Sam Andrew (Big Brother and the Holding Company), among many others. Mario has also worked as front-of-house mix engineer for Grammy® Award winning artist Edwin Hawkins, for the Holland Symfonia Orchestra at the 2008 Gospel Music Festival in Amsterdam, for “An Evening with the Boston Pops” at Symphony Hall, and for the 40th Anniversary of Woodstock in Golden Gate Park, San Francisco. Mario was the lead design partner for startup Morton Microphone Systems, working on the development of the innovative KickTone® microphone (for drummers) which received the Live Design 2014-2015 Sound Product of the Year award. His additional business background includes management, wholesale and retail sales, manufacturing, and production. Chase initially joined the PMI team in 2002 as an intern fresh out of high school, having already accumulated several years of experience with recording engineering, FOH sound mixing, and home audio systems. The following year he was brought on full time as an Associate Engineer at PMI’s home office in Marin County, CA, to assist in a variety of capacities, including acoustic design and engineering, drafting, audio system calibration and commissioning, and technical editing and publication. Chase has since moved back to his home in Memphis, Tennessee, where he evaluates new and emerging technologies for PMI and works closely with PMI’s Anthony Grimani to write informational and instructional articles in leading industry trade publications. In between projects for PMI, Chase serves as a video consultant and theatrical lighting designer for a 5500-seat megachurch, where he works with Dove- and Grammy-winning recording artists on a weekly basis. Chase enjoys attending classical, blues and rock concerts, watching movies at the cinema, and experimenting with his personal home theater and media rooms. He is also an avid video gamer. Sophie has over 20 years’ experience in brand marketing and communications across regional, national and international markets. In various roles, Sophie has coordinated high-profile projects and product launches for the Hollywood Roosevelt Hotel, Graceland, Cineplex Odeon Cinemas, Ringling Bros., and more. She was the national fundraising director for Variety Club Children’s Charities where she developed and launched their successful and long-running Gold Heart Campaign in cinema chains across North America. Sophie worked 10 years for DTS Inc., marketing audio products and technologies for the motion picture and consumer electronics industries. She spent four years in the company's UK operation directing European and international marketing, including collaborative projects at the Cannes, Venice, and Berlin Film Festivals. She also produced several of the company's coveted demo discs and theatrical trailers, high-profile trade shows, and award-winning marketing campaigns. Sophie has worked with PMI since 2010 managing marketing, communications, PR, and social media. She is passionate about movies and music, and is a connoisseur of French macarons and American ice cream. 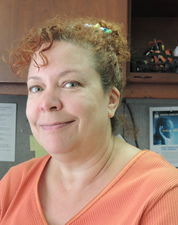 Jennifer is PMI’s in-house accounting manager. She holds a B.A. degree from Raymond College at the University of the Pacific, as well as an MBA degree from Sonoma State University. She is a certified QuickBooks ProAdvisor, and is licensed by the California Tax Education Council as a certified tax preparer. Jennifer has over 25 years’ experience as an accountant and business consultant, and has been the accounting manager at Prairie Sun Recording in Cotati, California since the mid-eighties. She is a native Californian and Sonoma County resident, with a background as a blues and classic rock singer and keyboard player. 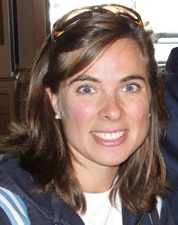 Ingrid Pellegrini has a bachelor's degree in Industrial Engineering from the University of Buenos Aires, and a Hotel Management degree. Her 20+ years of experience include positions at Ford Motor Company, the Argentine Postal Office and NeilMed Pharmaceuticals. At Ford, Ingrid was responsible for ensuring supply of evolving assembly parts purchased from Europe. Providing the full procurement for the National Congress elections was one of her duties at the Argentine Postal Office. During her four-year tenure at NeilMed, she managed the Purchasing Department for a 200 employee company, dealing with local and international manufacturers and developing new products. In her roles at PMI, MSR, and Grimani Systems, she is responsible for fulfilling and tracking all materials orders, she recommends and specifies acoustical treatment solutions, and she assists in the development of new products. © PMI, Ltd. All rights reserved.